A five-story income-restricted apartment building is under construction near the 38th and Blake commuter rail station in RiNo. 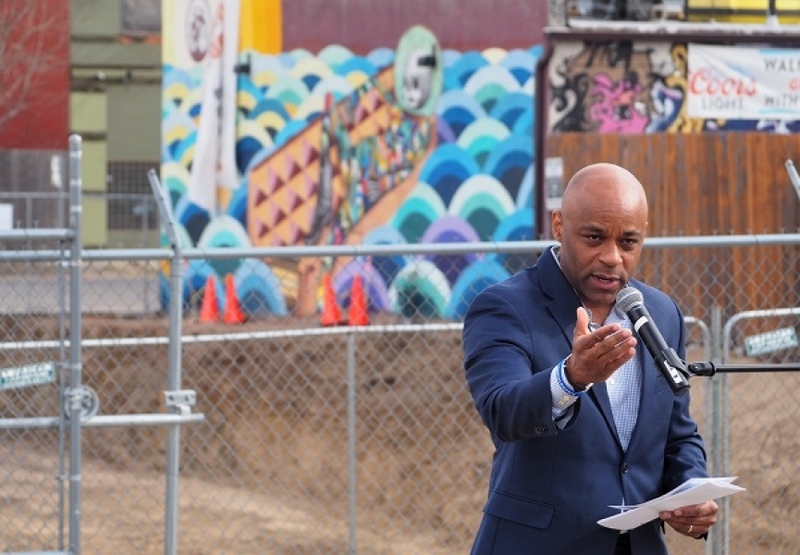 Nonprofit Urban Land Conservancy and development partner Medici Consulting Group held a groundbreaking ceremony Thursday afternoon for the duo’s 66-unit Walnut Street Lofts project, at 3773 Walnut St., which is expected to cost $18.8 million. The project, announced in September 2017, is expected to be completed next spring. 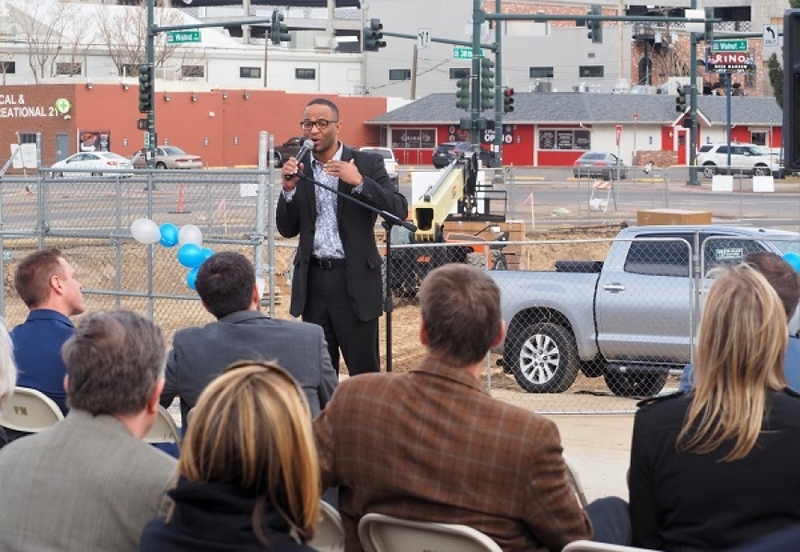 ULC and Medici previously partnered on the 2014 development of Evans Station Lofts at 2140 S. Delaware St. 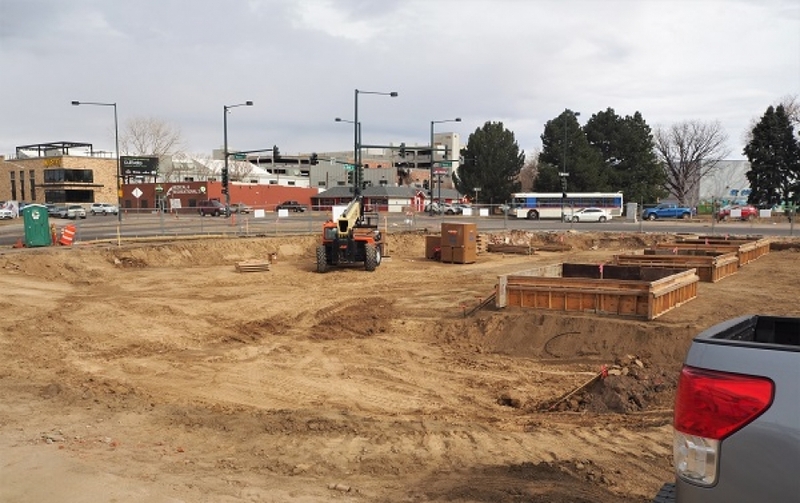 When it opens, 10 percent of the units will be reserved for those making up to 30 percent of the area median income. Another 40 percent will be restricted to those making up to 50 percent of AMI, with the remaining half of the units available to those making up to 60 percent AMI. Currently, 30 percent AMI corresponds to an individual in Denver with an annual income of $18,900, or a family of four with an income of $26,970. Sixty percent AMI corresponds to $37,800 for an individual, or $53,940 for a family of four. Rents at Walnut Street Lofts will range from approximately $400 for a one-bedroom unit to $1,200 for a three bedroom, ULC said. The land will be placed in ULC’s community land trust, meaning the income-restricted nature of the units will correspond to a 99-year renewable ground lease. 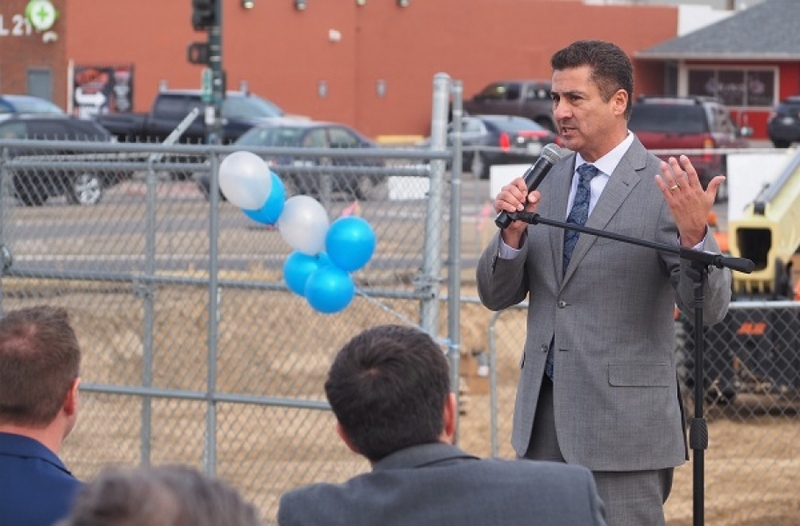 ULC purchased the project’s site, along with land across the alley at 1420 38th St., in November 2011 for $1.7 million, according to records. The area around the 38th and Blake station is in the beginning stages of a development boom, aided by City Council’s early 2018 decision to allow developers to build higher than zoning currently allows if they meet certain requirements regarding income-restricted residential units. 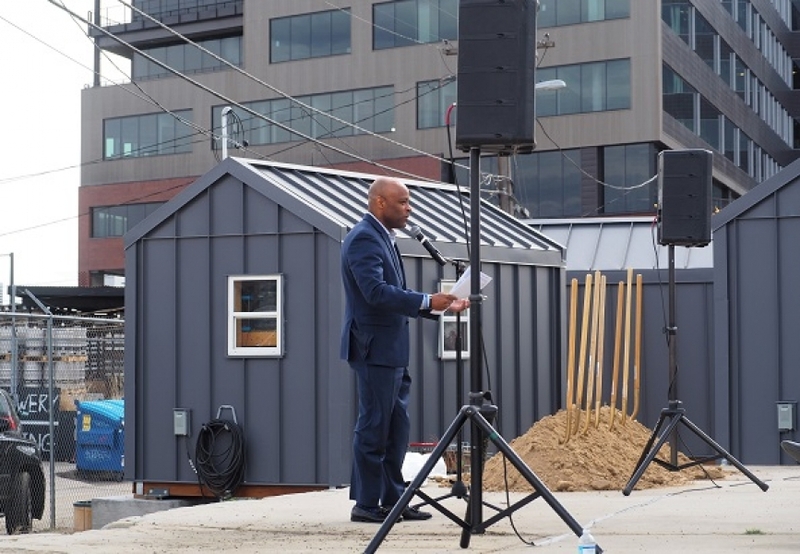 For a time, the site of Walnut Street Lofts was leased for $1 month to Colorado Village Collaborative, which installed a temporary tiny home village for formerly homeless individuals at the site. The village, known as Beloved Community Village, since has moved to ULC’s land across the alley. McWhinney, however, has submitted a development proposal for that site, so the village has been looking for a permanent home — and encountering challenges. 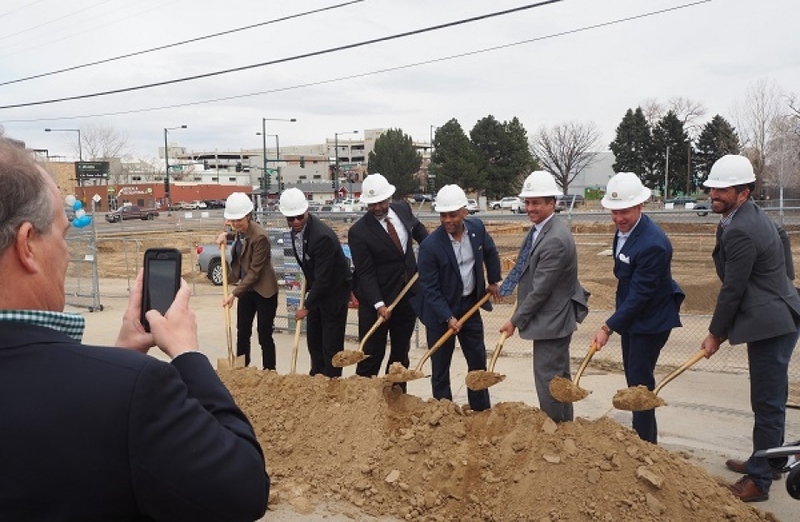 The project has received financing and/or tax credits from Colorado Housing and Finance Authority (CHFA), the City of Denver’s Affordable Housing Fund and the State Division of Housing. Kephart designed the building. 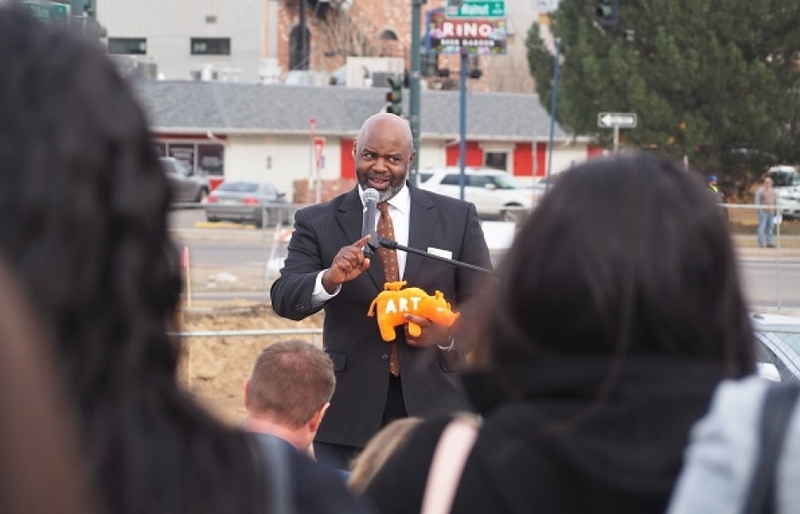 Mayor Michael Hancock was among the officials at the Thursday groundbreaking. Earlier in the day, Hancock attended a groundbreaking ceremony for a 32-home Habitat for Humanity project in Elyria-Swansea. 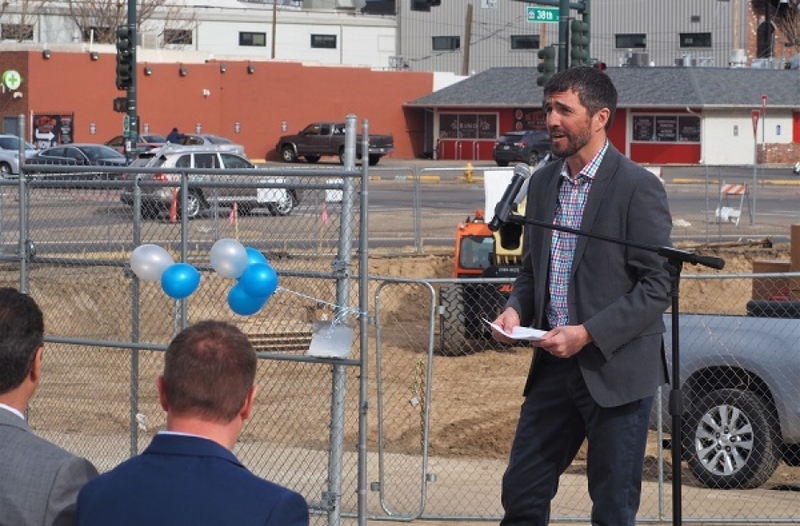 Habitat for Humanity previously told BusinessDen that the three- and four-bedroom units, which will be divided among 16 duplexes, will be restricted to families earning up to 80 percent of the area median income. 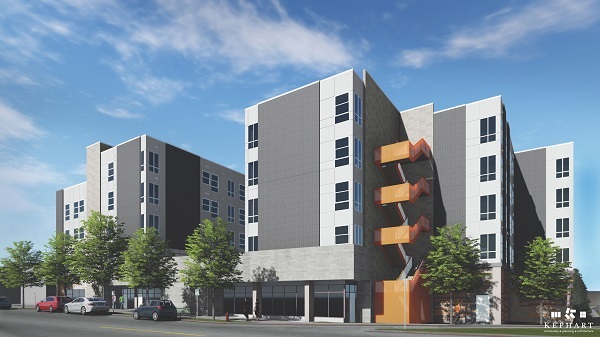 1 Comment on "Income-restricted apartment project breaks ground near 38th and Blake in RiNo"
It’s great that we’re getting affordable housing, but does it really have to be this ugly? It’s almost like we don’t want any of the residents to be happy they live there.